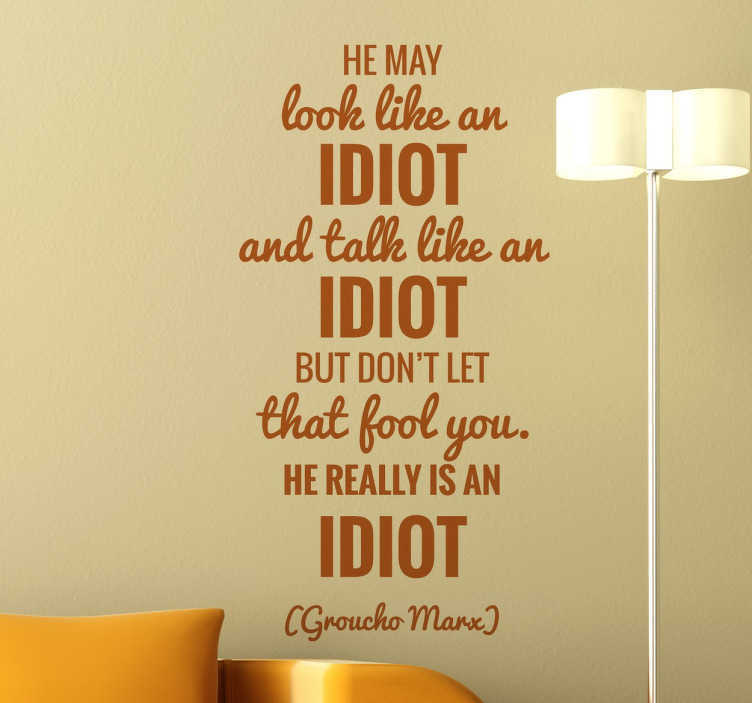 A brilliant text decal by the comedian of the modern era, Groucho Marx. Superb quote sticker for those that love this comedian or this quote! If you are looking for a thoughtful and fun text to decorate your home then this is a great design for your home. Choose from a wide range of colours! Pick your favourite colour or the colour that goes with the furniture or appliances in the same room where you will place this fantastic decal.